The best investment on Earth...is the Earth! 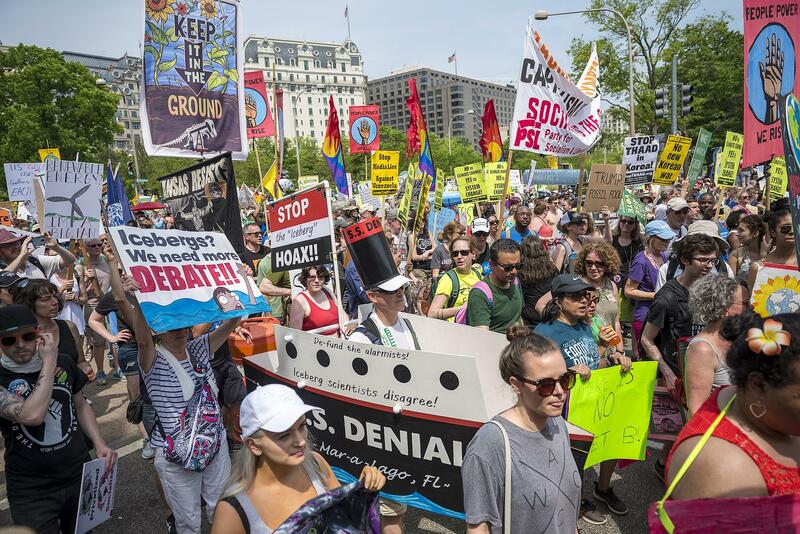 Clean Water Action was honored to join over 200,000 people at the People's Climate Movement in Washington DC. Our New Jersey team joined NJ Sierra Club and Bus for Progress in hosting several buses that made the trip from New Jersey to Washington DC. 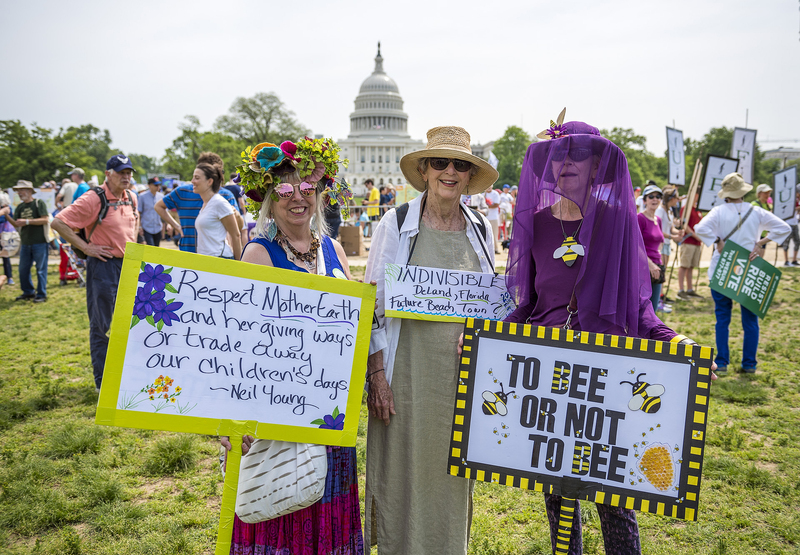 We met so many energized folks, people from every race and age group, who came from all over the country for this one day movement to demand action for climate change and water change. Here are some of our favorite stories and photos from the day! "On a rainy Saturday morning at 5am, our bus departs from west orange New Jersey and heads to Washington DC. 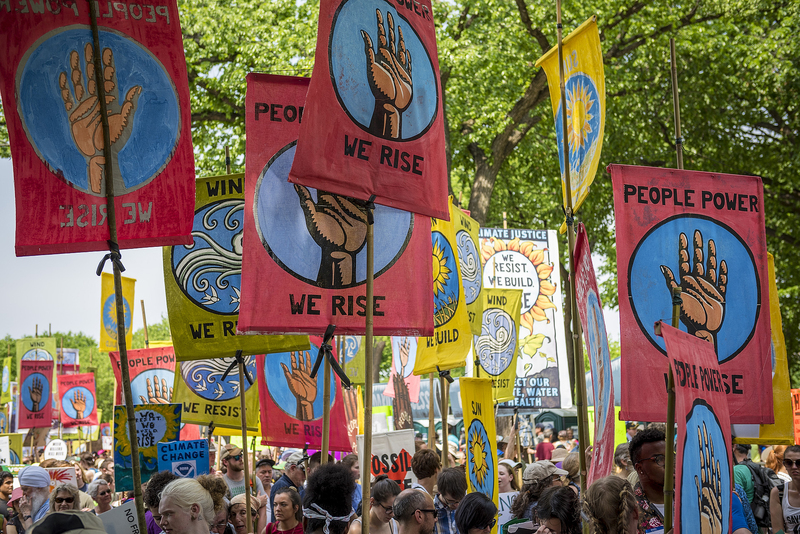 We join hundreds of other buses and thousands of people from around the country who are heading to the People's Climate March. I met a couple who came from California and another woman who is a doctor and came all the way from Arizona alone to march for environmental justice. I also met students from many Historically Black College and Universities (HBCUs), many of whom had come for the first time and were just eager to meet more people and experience the magnitude of the event with their peers. I move further to the front of the march and become enchanted by the many groups of indigenous people who are on the front lines. Their drums and chants are hypnotizing and before I know it I am filled with emotions and eager to know the meaning of this spiritual siren, I take a moment then I ask the chief what was that sound? He said it was a heartbeat chant, a love call and I felt it to be just that, wow how our soul can be penetrated by a sound and it mean so much! As we made our way to the White House, my first time seeing it in person, I did think "hmm it's smaller than I thought"? We made our way in front the barricades and there we sat, thousands of us chanting 'Our House'!" 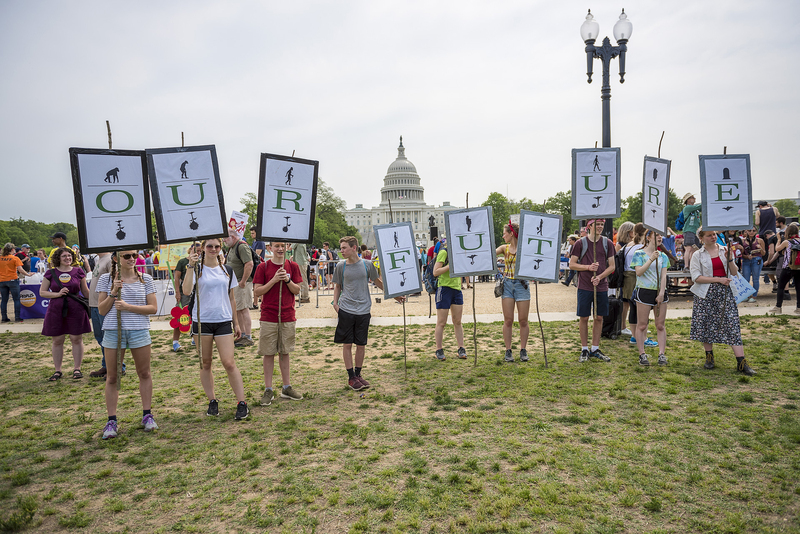 "The Climate March, for me, embodies everything that Democracy can and should be. 200,000 people of all walks and shades of life carved out their entire weekend just to spend 4 hours marching along the sweltering streets of DC. It was an absolutely surreal experience. I ended the day dehydrated, sweaty, and with sore arms from banging on my drum, but also invigorated and ready to fight. Real change always happens from the bottom up. 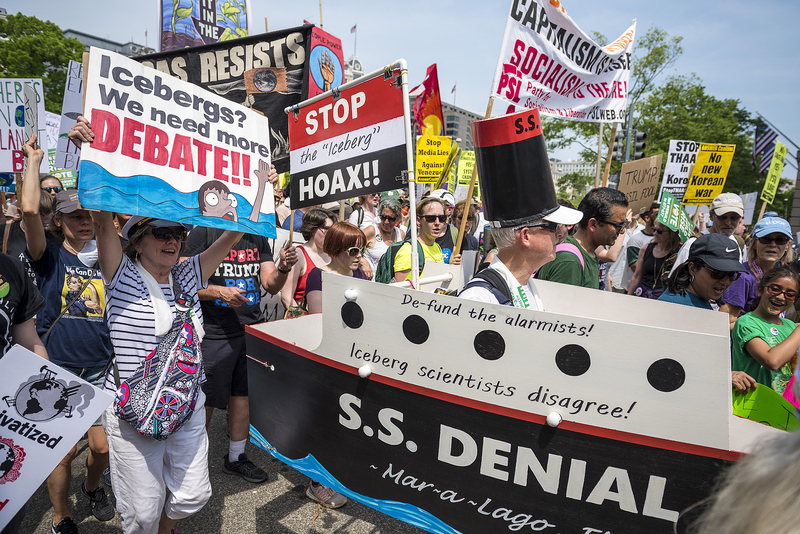 Trump and his hoard of 'Flat Earth' counterparts in Congress will never be able to ignore or deny the power of the people, and the American people are Demanding action to address climate change! We deserve a safe, healthy future for our planet and we definitely deserve elected officials who will work to secure that future, not destroy it. We resist! We build! We rise!" "Being an activist has it's highs and lows. Being a part of massive events such as the Climate March reminds me why I dedicate myself to causes that directly and indirectly affect me. Witnessing the thoughtfulness of thousands of individuals replenishes my empathy and bonds me to humanity. From the costumes and signs that took hours to make, to the speeches and dances people poured themselves into- there's no way to fake this real love and solidarity. My battery is recharged and in the low moments, I will remind myself of this special day. Take this energy and put it in motion!" We're honored to feature the photography of Greg Leshé, an award winning assignment photographer specializing in people and portraiture for a diverse range of media and clientele. He is based in the New York metropolitan area and works with a mix of clients, from savvy creative agencies, design firms, art directors, artists and galleries to progressive thinking companies, institutions and publications. Greg photographs people from all walks of life in a manner and signature style that is emotional, edgy, artful, distinctive and humane. He blends instincts, insights and impulses from the commercial and fine art worlds; and innovates at the intersection of both. He gets a wealth of sparks flying. A series of images he made documenting the People's Climate March is being featured / projected on the windows of the new ICP Museum 250 Bowery, NYC, evenings throughout this week. The images figure into the current and larger thematic exhibition, "Perpetual Revolution: The image and Social Change," which opened in January and runs through this weekend. 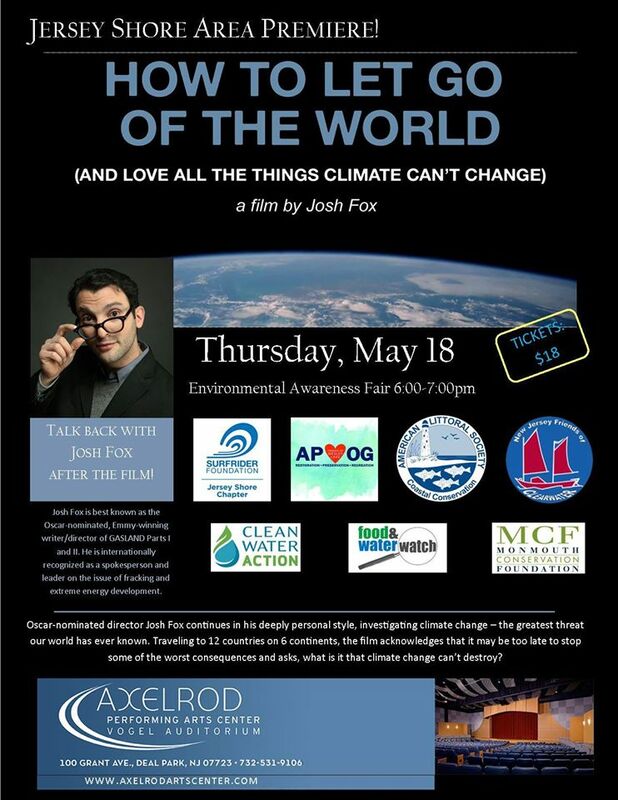 Clean Water Action is inviting you to join us on Thursday, May 18 for the Jersey Shore Premiere of "How to Let Go of the World" - a new documentary by award-winning filmmaker Josh Fox. We are currently running a free ticket giveaway! To find out more, contact Jenny Vickers Chyb at njcwa@cleanwater.org or 732-963-9714. In the film, he investigates climate change - the greatest threat our world has ever known. Traveling to 12 countries on 6 continents, the film acknowledges that it may be too late to stop some of the worst consquences and asks, what is it that climate change can't destroy? Join us before the film for an Environmental Awareness Fair at 6 pm. Visit the Clean Water Action table to find out more about our environmental programs including Rethink Disposable and our campaign to fight Trump's budget cuts to the EPA. The film begins at 7 pm. Stay afterwards for a Q&A with Josh Fox! For tickets and more info, click here.